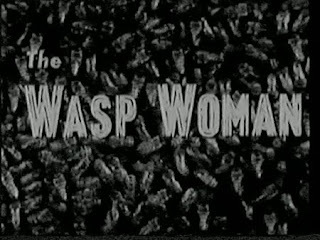 Today's feature (via Netflix) is that 1959 Roger Corman favorite in the public domain, The Wasp Woman. Almost no story to get in the way here. Woman who owns a cosmetics firm is aging and losing business. She finds a scientist who makes an age reverser made out of wasp stuff. The underlying problem is that that, while the wasp stuff does make you youthful, it also turns you into a blood sucking vampire-like wasp thing. You know, yin/yang.....the good with the bad. Vampire-like wasp woman is finally killed off by throwing acid on her and tossing her out of a high-rise. 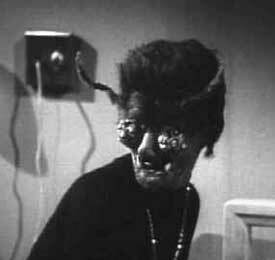 If ever confronted by a wasp woman, remember to throw acid on her then toss her out a window. That most likely will do the trick. We got Michael Mark playing the scientist—he was born in Russia in the 1880s, came to America to make his fortune in 1910, acted in the movies from 1928 until 1969, and died at age 88 in El Lay. Not a bad life, Mike. We got Barboura Morris, a class-mate of Roger Corman, playing Mary, the good girl with the great smile. She died at age 43 in Santa Monica of a stroke in 1975. 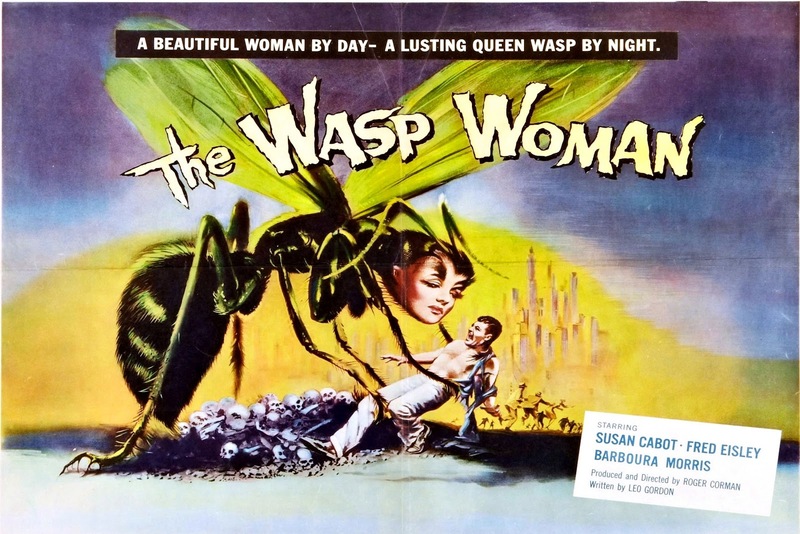 Finally, we got 5 foot 2 inch Susan Cabot (born Harriett Shapiro in 1927) as the Wasp Woman herself. The character is tragic, but that's nothin' compared to her real life. She was born to a Russian Jewish family in Boston but was raised in a series of orphanages. Got married and divorced early on, then had a highly publicized affair with King Hussein of Jordan in 1959, which ended when the good King discovered that his sweetie was a Jew. In 1968, she married a feller named Michael Roman and that marriage lasted until 1983 and produced a dwarf son, Timothy. Rumor has it that her husband, Michael Roman, left her because of her mental instability due to her swiping the dwarf's growth hormone and taking it herself. 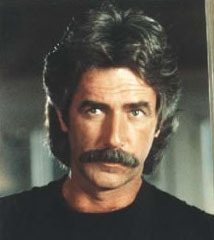 One of her co-workers, an actor named Christopher Jones, has claimed paternity of the dwarf, though God only knows why. Her life ended on 12-10-86 in Encino when the dwarf bludgeoned her to death in her sleep with a weight-lifting bar. When the police arrived at the murder scene, the dwarf told them that a Mexican dressed as a ninja broke in, knocked him out, then killed his mother in her wall-and-ceiling mirrored bedroom and stole 70 grand in cash. Typical. You know how those Mexican ninjas are. The police were a tad skeptical due to the presence in the house of four—count 'em four—attack Akitas. The police just didn't see how even a Mexican ninja could out-duel 4 attack Akitas. So they took Timothy (age 22) downtown where he cracked and led the police to the murder weapon, hidden under a box of Bold 3 laundry detergent. Timothy is dead now—heart failure, I believe. Whoever the biological father of Timothy is (or was), Susan managed to squeeze regular “you're the dad” payments out of the King of Jordan. You just can't make up crap like that. The most bizarre aspect of this movie, though, is the presence, in the beginning of the movie, of a dented 1960 or 1961 Ford Ranchero—and later in the movie I could have SWORN I saw the tail-light assembly of a 1963 Chevy flit past in a street scene. Only Roger Corman could somehow manage to have a 1960 Ranchero and a 1963 Chevy appear in a 1959 movie. Worth a look for that alone.